Love is in the air and so are the non stop jokes for the February Edition of Just Kidding Comedy Rotterdam, Friday February 15th @ 8:00pm at Cafe Stalles in Rotterdam!! BUY ONLINE TICKETS to avoid disappointment.Tickets are more expensive at the door. 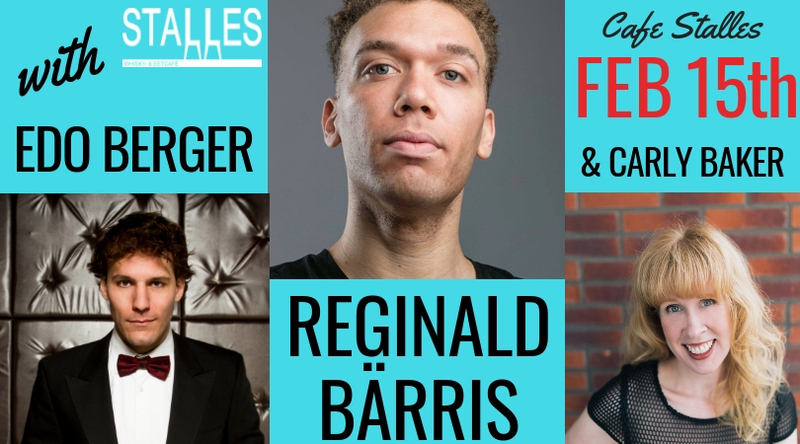 REGINALD BARRIS – an American comic who lives in Vienna and performs regularly in front of Austrian crowds. So that already tells you: this guy likes a challenge! But then again, Reginald can make even the toughest rooms burst out in laughter with his unique perspective on every day life in Europe. So sit down, relax and enjoy how this total professional makes jokes about his mixed-race upbringing, relationships and politics look easy. EDO BERGER – hailing from Amsterdam. Edo eats everything and loves children. His favourite primary colours are red, yellow and blue. Edo won several Dutch comedy festivals before expanding to performing in English. His performances have brought him to Edinburgh, Budapest, Oslo, Moscow and Tokyo, among others. He also shot and directed a documentary about the comedian’s love for anecdotes about horrible comedy gigs, called Dictator of Comedy.